The 10.000m Road Race starts at the Municipal Stadium of Ampelokipi-Menemeni and finishes at Megalou Alexandrou Avenue (Alexander the Great Statue). 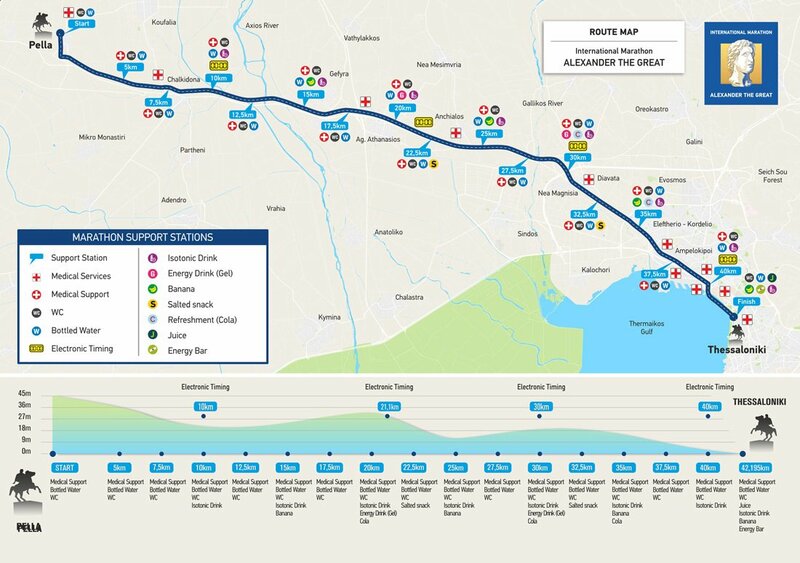 The route is certified by IAAF, like the Marathon route. You can find more information about the 10.000m Road Race at the proclamation of the race. 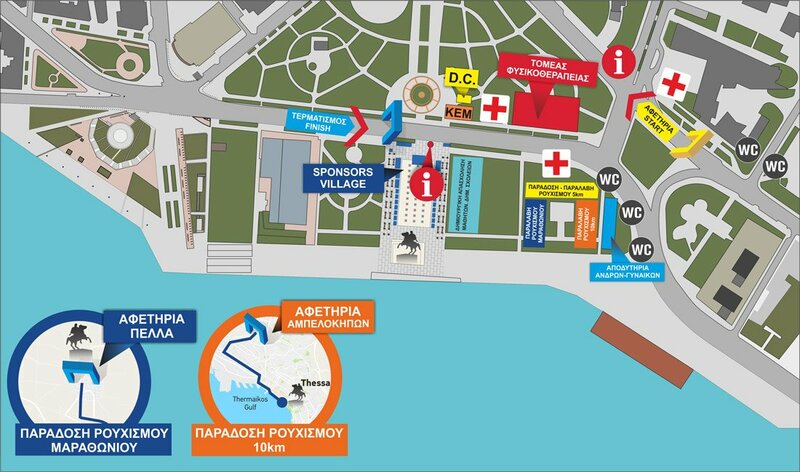 The race starts from the Municipal stadium of Ampelokipi, 28th October str, (with direction to Megalou Alexandrou str.). Once they cross Megalou Alexandrou Street they reverse left and continue in 28th Octovriou street in the opposite traffic lane. 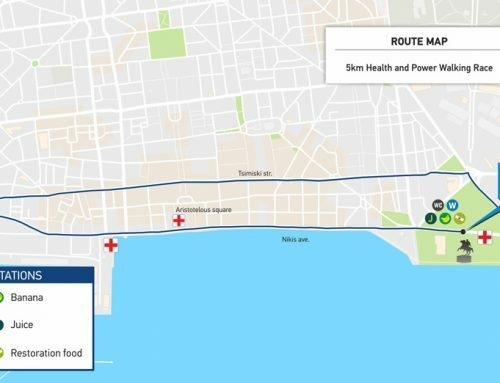 The runners are directed to Dendropotamou street in which they enter (right) heading to Karaoli Dimitriou street. As soon as they cross Karaoli Dimitriou street they reverse left and continue again in Dendropotamou street in the opposite traffic lane. The runners cross vertically El. Venizelou street, they are directed right to Thoma Hatzikou street and finally they enter a small road, Agamemnonos street. At the end of this road the runners enter Monastiriou street (left) heading to the city centre of Thessaloniki. 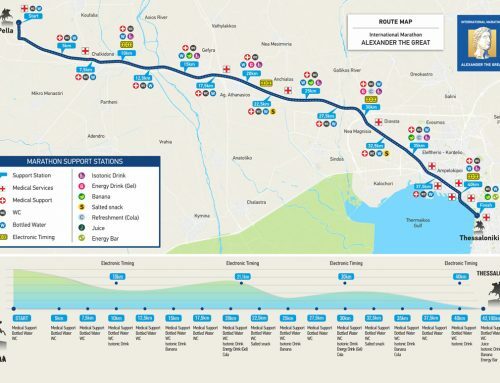 From now on, they follow the Marathon route from the 37th km and finish at Thessaloniki coastal road – Megalou Alexandrou Avenue (Alexander the Great Statue), where all races finish.